This stuff is amazing! I love the taste, but the best part is that this tea actually works! Drinking it after a stressful day is perfect – it always relaxes me and gets me ready for bed. I always add a scoop of honey in there to sweeten it! I’m also drinking some of Yogi’s skin detox tea which promotes a healthy glow. It’s pretty good, but I still like the honey lavender more! One of my November goals is to drink more tea, so I’m definitely accomplishing it this month. 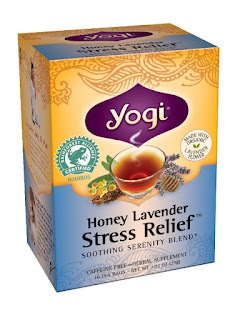 I find all of this tea at Kroger, but you can also order online. The links above are to Amazon! Oh my gosh y’all. Go grab some of this stuff now. It is more expensive than your average coconut water, but it tastes better to me, it’s healthier for you AND sometimes you will even get a pink one which means it has more antioxidants in it!!! Awesome, right?! I can drink one bottle of this coconut water and feel hydrated and ready to take on the day. The company is all about reintroducing people to plants which I love. Ian and I have been trying to eat healthier and live a healthier lifestyle, so I think this is amazing! Once again, I’ve found this at Kroger and Publix, but they run out fast. I just started Pure Barre at the new West Cobb location and I’m loving it! It’s a great workout, everyone is so supportive and friendly and I can actually feel my body changing which hasn’t happened before. I’m so proud of my friend, Jenna for trying it with me the other night – she was a champ! It does seem to take a while to learn all of the movements – I have taken four classes as of now, and I still struggle. During the class with Jenna, I struggled through the entire class. I’m not sure if I was tired from working all day, or still sore, or what, but it is a workout that you go back to even if you do struggle with it. I love seeing myself improve and get better and stronger. That’s what it’s all about, right?! YES! I needed to read this! It’s hard when you are in that stage of thinking about buying a house. Ian and I will probably buy in the next year or two & we’re currently in the process of browsing. We look for all of the things we WANT, but do we actually need them? I think Joy does an amazing job of writing about why living in a smaller house is better. 5. Our Nest! We recently invested in the Nest thermostat, protect and camera. I adore all of these products and will share a more detailed post on them. I love how they interact with each other to make your home safer, and more energy efficient. 6. The holiday season has begun! My favorite time of the year is here and I could not be more excited. This year, we are going to Ian’s parents and my sisters house for Thanksgiving. My younger sister is also coming home today which I’m very excited about! 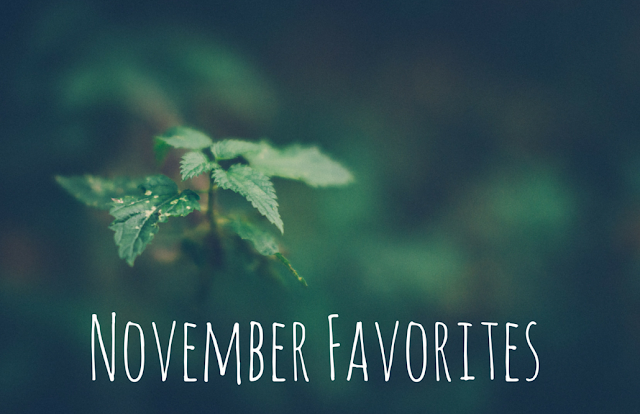 What are some of your favorite things this month?! * Post contains affiliate links!